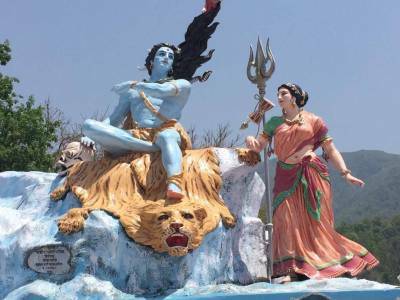 Triveni Ghat is a holy place in Rishikesh which is located at the confluence of Ganga, Yamuna and mythical Saraswati rivers. 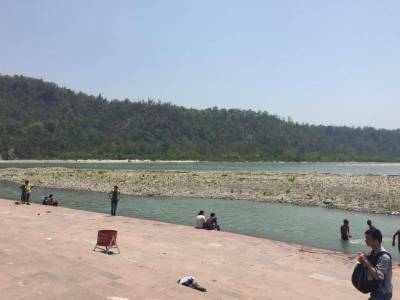 As Per the Hindu Mythology, that Those who Bath in Ganga will wash all his Sin, so pilgrims visit this place to take a holy dip to wash away all their sins and to purify their soul. The ghat is well maintained and ambience is great. Nice place to walk around enjoying the cool breeze and surroundings. Epic Stated, When Lord Shri Krishna got hurt by the arrow of Jara, Lord Visited this place and take a holy dip. Triveni ghat is more famous for its Ganga Aarti in the evening everyday at 6.00 PM and the facility for taking a holy dip in the Ganges. 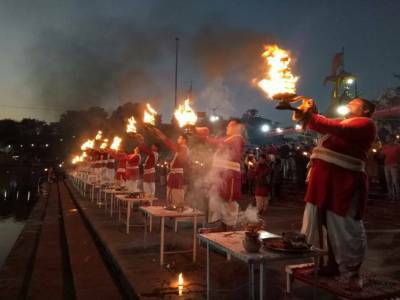 The Maha Aarti in Triveni Ghat is performed in a much older way, the original format of Aarti, and the place is less crowded than the Har ki Pauri, Haridwar. The area itself is very big having Shiva idol along with Mata Parwati, and also the idol of Shri Krishna giving the gita updesh to Arjuna. 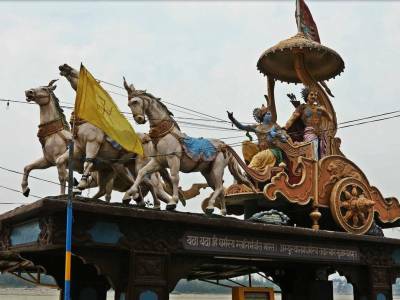 The Geeta Temple and the Lakshmi Narayan Temple is another one of its sightseeing zones of Triveni ghat. 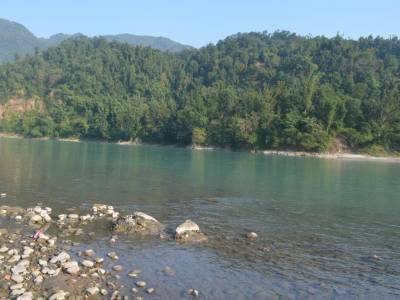 The Distance of Triveni Ghat is about 4 KM away from Rishikesh city center, about 24 KM away from Haridwar and about 43 KM away from Dehradun city center. Get quick answers from travelers who visit to Triveni Ghat Rishikesh.